Cascade Manufacturing Doubles Design Speed – and Project Capacity – with Vertex BD. Cascade Manufacturing is a family owned business serving the construction industry with prefabricated building components for over six decades. They design and manufacture wood and cold-formed steel (CFS) trusses, CFS wall panels, engineered wood products for residential, multifamily, commercial, agricultural projects, and military structures. They have facilities in Iowa and Texas, strategically located to serve the entire Midwest and beyond. In 2008, as the recession hit the building industry, Cascade saw the opportunity to diversify into a growing area – cold-formed steel wall panels. At the time, Cascade designed CFS wall panels using a general architectural design program with limited framing functionality. To expedite the design process, Cascade tried Vertex BD, building information modeling (BIM) software from Argos Systems for cold-formed steel construction. The software’s rule-based framing capabilities automate the process of generating wall and floor panel fabrication drawings, structural layouts, cut lists, and other material reports – saving manufacturers significant time on every project. “We knew similar companies in the industry using Vertex BD successfully,” Noonan says. “And as a stand-alone program, it wasn’t as costly as programs that bolt onto AutoCAD. Plus, we were attracted to the low-risk, try-and-buy option that allowed us to rent the software, use it for several months, and apply a portion of the rent to the purchase. After using it for several months, we were definitely sold on it.” With online training, Greg Schares, Cascade’s Wall Panel Division manager, became proficient on Vertex BD in about a month. Having all necessary materials already built into the software database further reduced ramp-up time. As the sole Vertex BD user at Cascade, Schares has found Argos support personnel indispensable whenever a question arises. “I can’t walk over to a coworker with a question,” Schares says. “So support from Argos has been phenomenal in helping me with questions and troubleshooting issues. The team is very, very responsive.” Today, Vertex BD supports Cascade’s growing portfolio of CFS projects, including multifamily, senior living, hotels, and student housing buildings. With this software, Schares generates drawings automatically in seconds based on defined framing rules – completing designs in about half the time as before. “Every time we ask if Vertex BD can do something, the answer is ‘yes, it can,’” Noonan says. “Whether it’s building jamb/header assemblies or more complex subcomponent type assemblies, Vertex BD can handle any combination with relative ease.” Before Vertex BD, window and ductwork changes required multiple steps – often making it simpler to just start over. Now, changes occur at the speed of a few clicks. With the recently added IFC (Industry Foundation Classes) file conversion tool in Vertex BD, Schares can import 3D models from almost any architectural software and deliver IFC files to contractors. The IFC conversion tool streamlines the architectural-to-framing process by converting IFC 3D model geometry into native Vertex BD 3D objects, and skips the trace-over and re-modeling phases in the process. In the case of a hotel project, that capability proved essential. 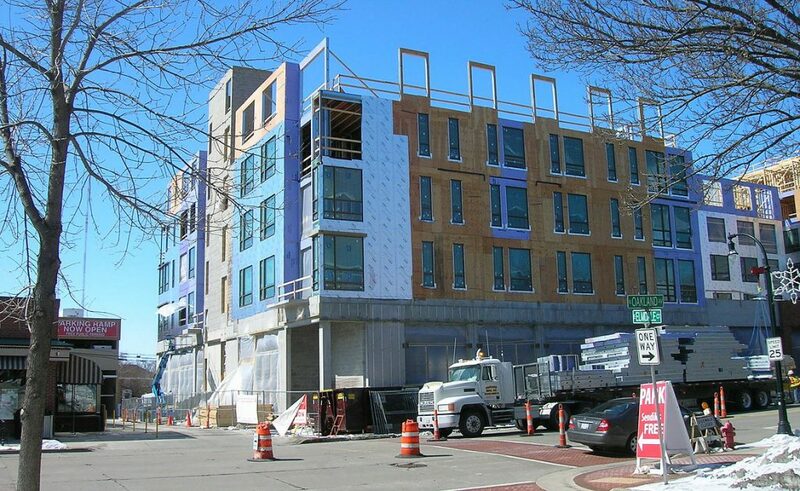 Cascade delivered IFC files to the contractor, a feature not possible with its previous framing program. Beyond project efficiency, Noonan notes that Vertex BD enhances accuracy. The software includes a database of all the shapes and sizes Cascade may need. Without that in the previous program, Schares had to manipulate items manually. Vertex BD also helps eliminate change-related design errors. Again, the software’s flexibility lets Schares input approximate sizes and then return to update with the exact dimensions. Vertex BD impacts the business in multiple ways. Cascade’s expanding wall panel business has naturally led to more truss work. Contractors can work with one vendor for both. “Because we’re able to take on more wall panel projects, it’s opened the doors to new customers and relationships on the truss side,” Noonan says. With the ability to complete designs approximately twice as fast as before, Cascade ultimately increases capacity for CFS projects – and revenue. At the same time, greater speed, accuracy, and ease of working with Cascade encourages repeat business from clients.